The Chakra Sounds meditation is a very soft way to activate and harmonize the energy centers of the body, working with the vibrations of musical sound. 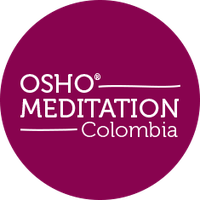 The music was recorded during a live performance of musicians and singers working very closely with the makers of the meditation. In this way, the music not only uses the exact sounds which will activate each chakra, but also musically illustrates the character of each individual center. The meditator is advised to sing along and harmonize with the music. Singing “aw” (to rhyme with the English word “jaw”) will help the sound to vibrate inside the body and increase the effect of the meditation. This meditation technique uses sounds that the meditator generates through his voice. The sounds open and harmonize the chakras and bring awareness to them. In this meditation you can drop into a deep and peaceful, inner silence. Producing the sound with your voice as well as listening to it inside attunes your being and creates a harmony between body mind and soul. This meditation can be done at any time and is best done on an empty stomach. Stand, sit comfortably, or lie down if you prefer. Keep your back straight and your body loose. Breathe into your belly rather than your chest. The sounds should be made with your mouth open and your jaw loose, keeping your mouth open the whole time. Close your eyes and listen to the music; if you wish, start making sounds in the first chakra. You can make a single tone or you can vary the tone. Let the music guide you; however, you can be creative with your own sounds. While listening to the sound of the music or the sounds that you make, feel the sounds pulsating in the very center of your chakra, even if it seems to be imagination at first. Osho has suggested that we can use the imagination in “becoming attuned to something that is already there”. So keep doing the meditation even if it feels like you may be imagining the chakras. With awareness your imagination can lead you to an experience of the inner vibrations of each center. After making sounds in the first chakra, you will hear the tones change to a higher pitch – this is the indication to listen and feel sounds in the second chakra. If you wish, you can continue making sounds also. This process is repeated all the way up to the seventh chakra. After the last sound sequence, remain sitting or lying down in silence with closed eyes. Remain in silence and don’t focus on anything in particular. Allow yourself to become aware of and watch whatever is happening within. Be relaxed and remain a witness, not judging it. “Music is a very subtle meditation. The seven notes of music are concerned with the seven chakras of the body and each chakra has its own note. If you concentrate on that chakra, you will start hearing that note arising within your body. The second chakra has two notes, the third, three. One is important, the other two are just part of it but create a harmony. It goes on becoming a greater harmony, rising higher with each chakra. On the seventh chakra it is an orchestra.